David Ortiz is a three-time World Series champion, a World Series MVP and a Boston sports icon. Why not elect him mayor? Despite not being on the ballot or even an actual candidate, David Ortiz finished third in Boston's mayoral election Tuesday night. According to WGBHNews.org, Big Papi received the most write-in votes. However, Ortiz fell 71,954 votes short of now mayor-elect Marty Walsh. 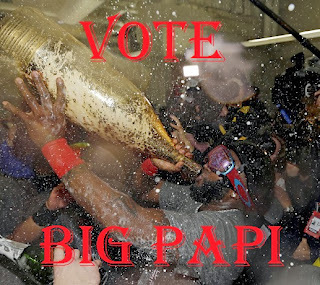 Big Papi may not have won, but there's no doubt Boston is his "bleepin' city."